When racers arrived, I believe all doubts of the decision were silenced. The venue was not only gorgeous but was clearly going to push all participants from start to finish. 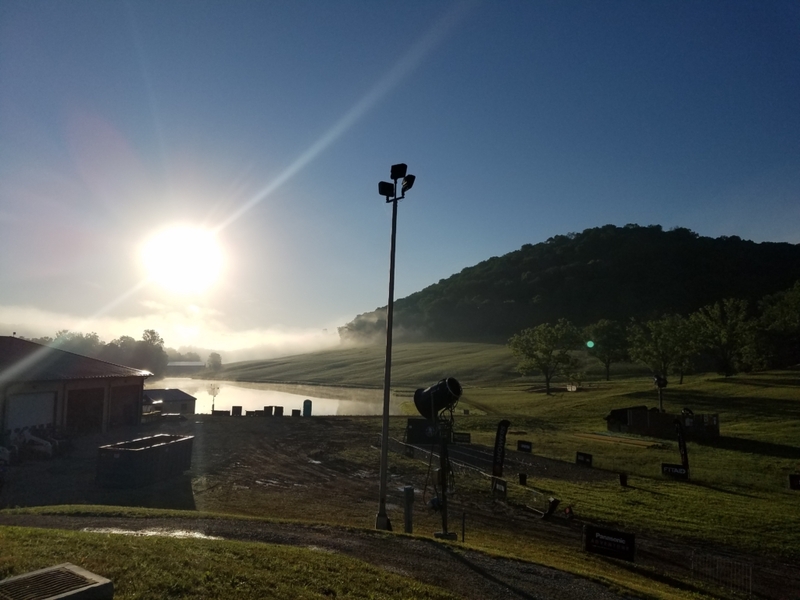 As you walked in from the parking lot (paved parking, I might add) there was long barbed wire crawl off to the right being fed by the resort’s misting machine, the rope climb, and a sled pull. Up the hill, you could see an intimidating sandbag carry. And if you looked closely at the top of the main slope, the top of the monkey bar rig could be seen peering down at you. Added benefits of the new venue included an excellent lodge on-site to hide from the scorching summer sun and nearby hotels for those who traveled to the race. The festival area was lively but was pretty oddly laid out between the way the course was designed and the giant lodge being between the registration lines and the actual festival. It took a few minutes to get your bearings and figured out the important locations, like bag check, porta-johns, and even the start corral took a bit of effort to find. Minor complaints though since you are instructed to be at least an hour early and for what this area lacked it offered huge amounts of shade and tremendous spectating. 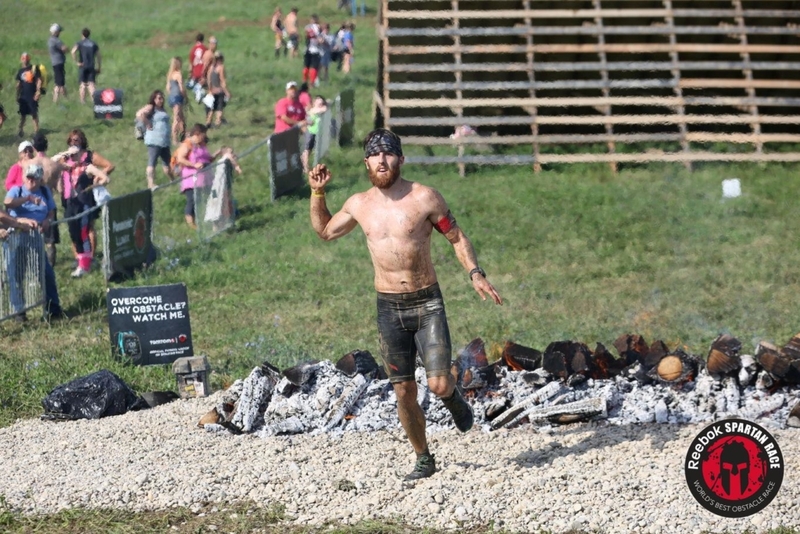 This was easily the most spectator friendly course I have ever witnessed at a Spartan and that is great news because they have taken a lot of heat in the past about offering little to no spectating opportunities at their venues. I won’t spend long talking about the obstacles because it was a standard Spartan affair, obstacle innovation isn’t exactly their strong suit. Run over here, clear this wall, run over there, carry this heavy thing to that point, run across yonder, rinse, lather, repeat. What the race directors did do though was really think about the sequence of obstacles. Monkey bars, to an inverted wall, leading to herculean hoist, straight to the bucket brigade, followed immediately by the z-wall, absolutely obliterated your grip and challenged even the cream of the crop. Ultimately the course came in about 4 and 3/4th miles with somewhere between 1500-1800 ft of ascent. It was truly a challenge and stands out to me as the most challenging Sprint course I have done and I loved it! 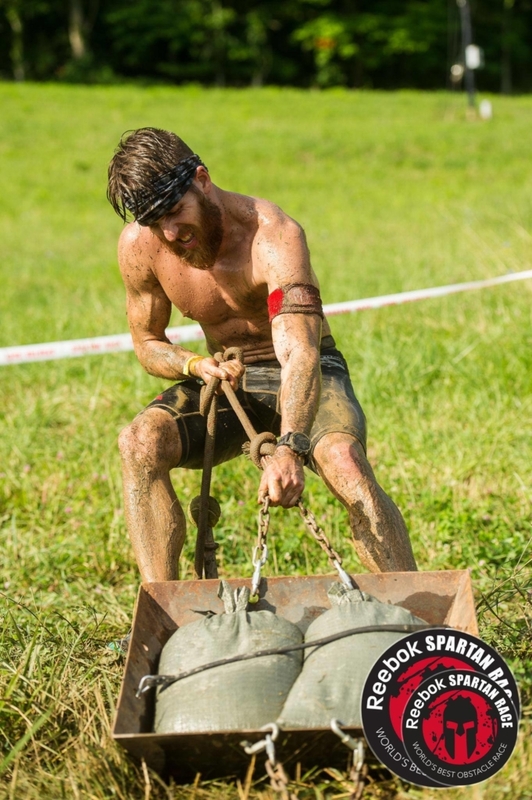 I have been hard on Spartan over the past year, for me, I felt their events were no longer exciting and had become stale, overpriced, and over-hyped. I walked away this Saturday with a bit of that feeling I remember from my first race. That feeling of, “Wow, I’ll be remembering this day for a long time.” Spartan, maybe I was wrong for doubting you…maybe in hindsight I’ll look back and say that this was the event where I once again became a true fan of the series. 4 out of 5 stars!